In a small bowl, mix the aioli, lemon zest and dill. Set aside. On a large plate mix the flour with a generous pinch of salt and pepper. Into a large bowl add the eggs and milk, and whisk to combine. On another large plate add the breadcrumbs. Place the Coorong mullet fillets into the seasoned flour, and toss to coat. One at a time, place the fillets into the egg mixture, followed by the breadcrumbs. Heat a large frypan over medium heat and add half of the butter. Add half of the Coorong mullet fillets and cook for 2 minutes, before turning and cooking for another minute. Repeat with the remaining fillets. 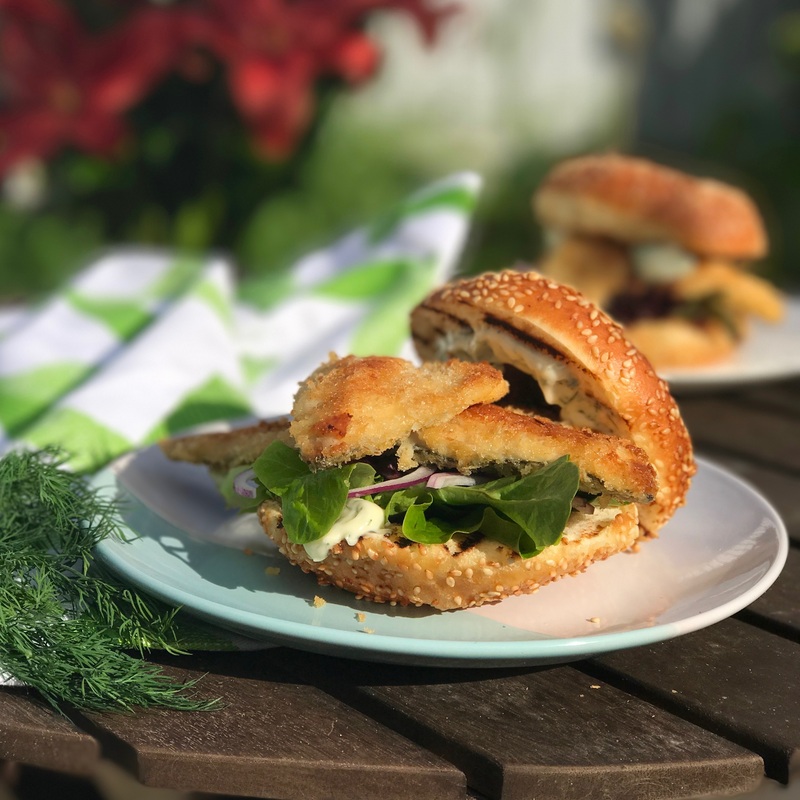 To serve, spread the dill aioli onto each bun, top with salad leaves, red onion, and crumbed Coorong mullet fillets.